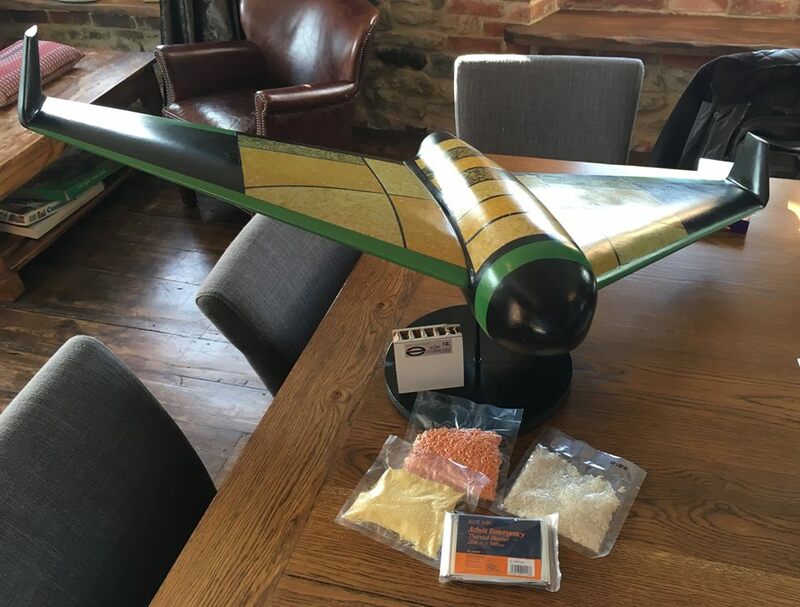 We have been busy behind the scenes, not just developing the Pouncer to take to the skies, but also the project as a whole to make sure there's more than a delivery method, there's also the skills to build, load, manage and run Aid, wherever needed. To do this we're assembling a team that's hand picked for their ability to deliver. David Richardson is our new Food Technology Director and come to us after a couple of decades at the highest levels of food, ready to work on what Pouncer will deliver, not just how it will get it there. This is one of the most imprtant jobs next to making the vehicle fly, so we're very, very happy he's joined the team. 1) Overseeing the development of safety and quality systems to ensure the delivery of safe food. 2) Working with providers of innovative food technologies to identify ways of incorporating food materials into the design and construction of POUNCER™, in pursuit of the aim to produce it using food and nutritional material in its construction. 3) Working with companies in the wider food industry who share our aims and values. In my previous role as NSF Global Food Division Vice President, for EMEA - a role which encompassed being Managing Director of NSF Safety and Quality Ltd, I established and developed an international network of offices offering certification, risk management, consultancy and technical services to the food supply chain - areas key to Pouncer’s success. I’m also really looking forward to re-engaging with old colleagues in new roles and new colleagues in new roles over the coming months in other synergistic areas in the food industry where I can focus on innovation and service areas. The result is the most important aspect of all of this and I just wanted to sign-off by wishing the team the best in the prototype development and flight trials over the coming months. Very interesting times to be a foodie and very excited to be working with the team.